Fiana has experience teaching students of all ages and stages. Primarily she was trained as a teacher of The Irish Harp College System. As part of her undergraduate degree she opted to take modules in music education and community music. Her master’s degree also afforded the opportunity to include a study on Philosophy, Politics and Practice in music education under the tuition of Dr. Felicity Laurence. As part of this study she was fortunate to have had the opportunity to attend a music education conference at the University of Cambridge hosted by John Finney, an authority on Music Education in England, having spent many years as a senior lecturer in the Faculty of Education at the University of Cambridge. More recently she has completed the Comhaltas TTCT teaching Diploma benefitting from the collective expertise of Martin Power, Paddy Ryan and Kathleen Nesbitt. This qualifies her as a teacher of the SCT examination system. Fiana is currently teaching in the Limerick and Tipperary areas. If you or someone you know is interested in learning the harp she can be contacted via the contact page. When my daughter asked to play the Harp, I had no idea what was involved. Fiana put us at ease and Ciara began her lessons in Sept 2015 where she has learned and accomplished so much in her first year, she even took part in a concert! I could not imagine our home without a Harp now. Fiana is not alone a beautiful and talented harper but very patient and kind teacher. I highly recommend her to anyone considering lessons. As an adult taking up something new it can be a daunting thing. To say that Fiana put me at ease is an understatement. I decided to take up the harp because it is such a beautiful instrument and it is for a pleasurable hobby I’ve started to learn. The way Fiana teaches is so relaxed and easy, she is so encouraging and never has an issue going back over stuff to make sure you are confident that you have the piece under your belt before going forward. There is never pressure to move on until you are happy but there is always encouragement to progress. It’s certainly not like the days of childhood music lesson because arriving to Fiana, I’m always met with a smile and a “well how did you get on” and I never have “ The fear” going in for my lesson. I am so delighted that I’ve found a teacher who’s style is so suited to me as an adult learner. Don’t be afraid to try, it is so rewarding and worth it to have such a wonderful instrument at your fingers tips, with amazing encouragement and guidance at your back. I decided about two years ago (on a whim) to take up the harp. As an adult, this was both terrifying and exciting for me. However, my fears were alleviated as soon as I met my fantastic harp teacher, ‘Fiana Ní Chonaill’. Fiana is a highly qualified and professional music teacher that always brings an element of fun into every lesson. She has the ability to combine taking you at a comfortable pace with pushing you musically to better yourself. Fiana has also organised exchanges with various harp groups abroad and entered her pupils in group harp competitions. This is a lovely way to meet other harp players and also a means of boosting confidence in playing for an audience. I was encouraged by Fiana to complete a SCT harp exam this year and last year. The exam is a great motivator for keeping the practice up. I couldn’t recommend Fiana highly enough as a teacher. Her patience, kindness and relaxed teaching manner has not only encouraged me to keep playing the harp but also to thoroughly enjoy every minute of it. 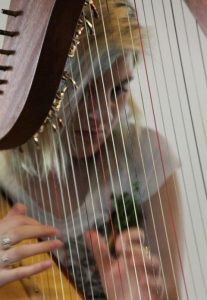 Fiana is a harpist from County Limerick, Ireland, who plays a wide variety of music for weddings, events and concerts worldwide. She has a wealth of experience and is available for bookings through the contact page. 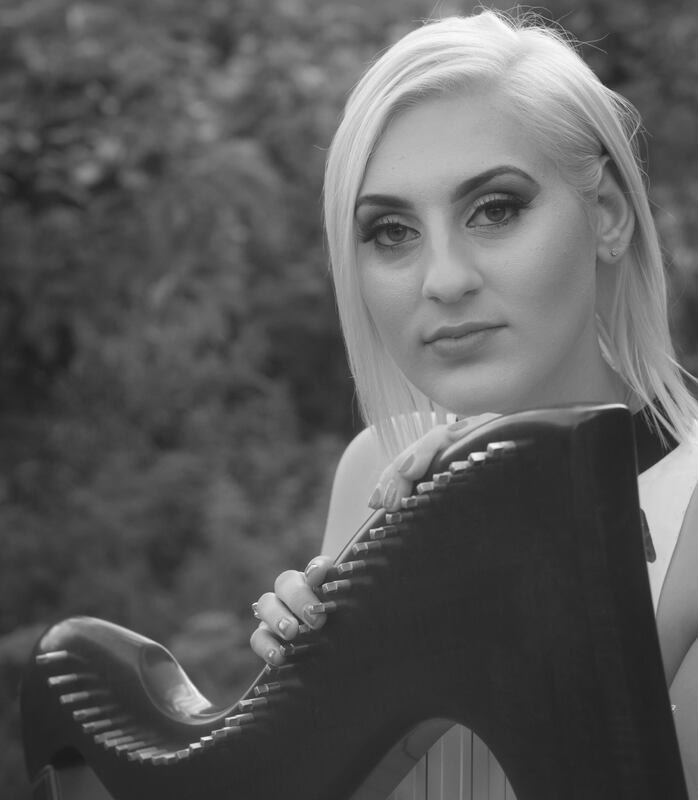 You can also find Fiana on Facebook and YouTube.